Are you a team or business leader, coach, or professional in the medical, health/wellness, or legal field? If so, there is no better place to learn about how to get powerful results than from Dr. Relly Nadler. A keynote speaker at the ICF CO 2017 Fall Conference, he’s a psychologist, author, and Master Certified Coach. He’s applied years of research on wellbeing and workplace success to bring about peak performance in workplaces large and small. Are you connecting before you are directing? If that sounds like focusing on empathy to you, you’re right. Building a tangible bond to those who report to you only takes a few minutes, but it’s a crucial step in the right direction. Are you listening intently, without lining up what it is you want to say next? It’s important your team members feel heard. Can you repeat back what they just said so they can feel heard? If so, you can “stay in their story,” and that’s what you want. As a leader, are you providing crystal-clear clarity about the target you want to hit? Are you developing and stretching the strengths of your team? Be sure to find out what they are and use them! Are you turning every success into a process? Are you acknowledging and capturing what works so that you can use it again and again? 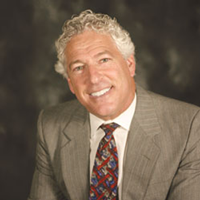 A leader in Emotional Intelligence, Dr. Nadler is going to be sharing his skills in a rare opportunity at the ICF Colorado Fall Conference. Sign up while tickets last.